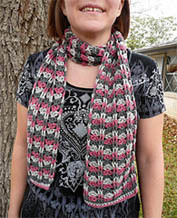 I first met Robyn Chachula a few months ago at TNNA, but I’ve been a fan of her crochet work for much longer than that. 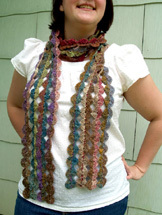 I started to take notice a few years ago, and was thrilled when her first book, Blueprint Crochet: Modern Designs for the Visual Crocheter , came out–she’s a kindred spirit in that she loves the crochet diagram as much as I do. 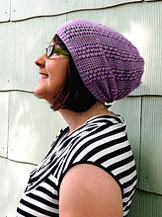 Her style is modern and wearable, and her designs make knitters do a double take. 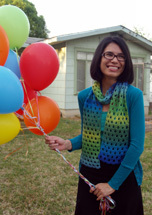 (In fact, I crocheted her Paige Cardigan as a sample for the yarn store, and more than one customer has asked me how to recreate it in knitting). 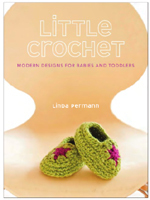 Robyn’s new book, Baby Blueprint Crochet: Irresistible Projects for Little Ones , is a collection of clothes, toys, and accessories for babies. This one includes both diagrams and full written patterns, perfect in case you aren’t as fond of diagrams. As someone who also recently penned (or should I say hooked?) ny own book of baby designs, I thought I should ask Robyn a few questions about her inspiration and tips for picking the right projects for babies. 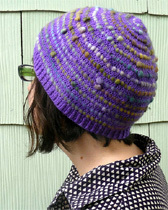 Her answers are below, and I’m sprinkling photos of my favorite designs from her book throughout. Enjoy! What made you decide to do a book about baby clothes? Were you already pregnant when you started the book? The inspiration behind the baby book was all my nieces and nephews. We currently have 17. I actually proposed the book years ago, and when I was in my 1st trimester I found out that my publisher was interested in talking about doing the book. I sketched/ swatched all the projects while I was still in my first trimester and swore CJ (Chachula Junior) was going to be a boy, because I had no problem coming up with boy projects but had a huge mental block on girl projects. She, of course, came out a girl. I wrote the majority of the book during my last trimester and her newborn stage. 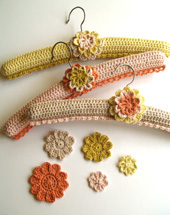 using them help you develop as a crocheter and crochet designer? 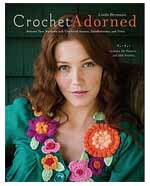 I had old crochet stitch dictionaries from my Nana that had them included for every pattern. I didn’t think there was anything special until I realized that very few books and magazines included them, which was frustrating for me since I am dyslexic. After that I sought them out, and fell in love with ones from Japan and Russia. They were so detailed I did not need a written description at all. I am an engineer by training so the visual nature of them totally jived with me. Without them I do not think I would be able to design. I love being able to sketch everything out before I even take a stitch. What key things did you keep in mind when designing this collection? I have a Baby Mantra that I stick to whenever I make a project. 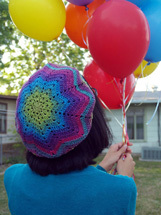 Choose the right yarn for the job. 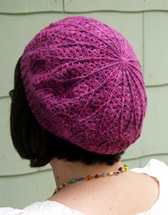 Make sure your yarn is machine washable. Babies spill and spit up—they just can’t help it—so make sure it is easy to clean. 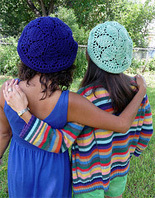 Choose stimulating colors. Babies like bright and bold colors with lots of contrast. Pastels are really difficult for them to see. 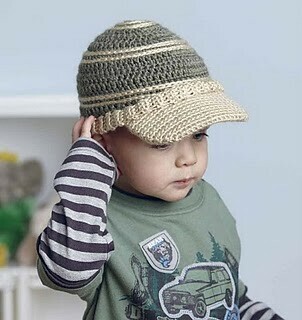 Choose the best style for your baby. Babies often throw a fit when something gets pulled over their heads. 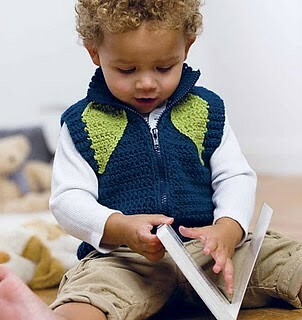 If your baby is like this, make a cardigan or jacket instead of a pullover. 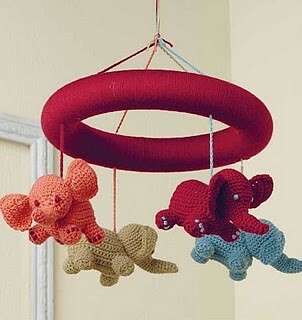 If your baby crams everything into his mouth, choose a project that he can’t reach (like the Ellie on Parade mobile) or one that can be goobered on (like Burp Cloth Bib). 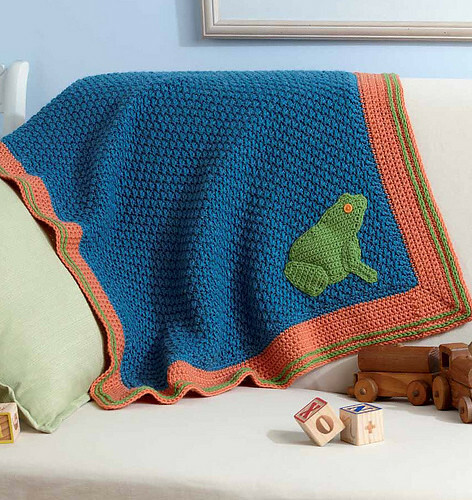 If your sweetie likes to snuggle with fabric, then choose a project with pettable fabric (like the Froggie Blanket) that their fingers won’t get tangled in. Parent-proof your work. 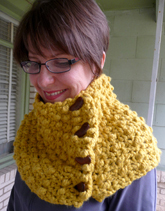 Reinforce collars and seams with grosgrain ribbon behind the snaps. That simple trick will keep your work from getting stretched out of shape while wrangling the cutie into the outfit. Baby-proof your stitches. 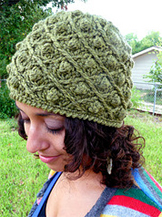 Weave in the ends really well so those little fingers do not find a way to unravel all your hard work. 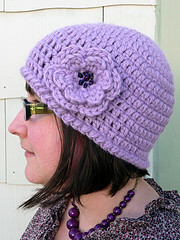 As a parent, do you still find it easy to care for handmade gifts? Do you prefer completely washable projects are you still okay with hand-washing once in a while? Is there anything you learned that might influence your baby designs *after* becoming a parent? As a parent, everything and I mean everything goes into the washer and dryer. I wash nothing by hand of hers or mine or the dogs or anyones. I just have no time to do that anymore. So whether the gift was meant to go in the washer or not, it gets tossed in and I hope for the best. I always was like that though. 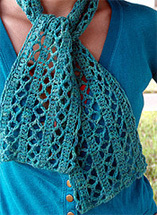 I know that there are great beautiful yarns out there that can be washed a million times and still look great, so I don’t ever go for the hand-washing ones for my projects. What’s your favorite project in the book and why? Ellie on Parade is very sentimental to us. I always wanted a mobile in the book. Originally I was going to make birds and have them dancing around the ring. Then our little CJ came along. For whatever reason, the toys that most caught her attention were the elephants. Not monkeys, lions, giraffe, or bears- but elephants. So naturally, how could I not make the mobile an elephant mobile? Thus Ellie the Elephant was born. I made the mobile, (which took forever, since I must have re-crocheted that first elephant 10 times and then I had to make 3 more, of course) while CJ was till a newborn. I then strapped it to the chandelier in my “studio” (aka dining room) for CJ to look at while I was working. Back then she would sleep for an hour at a time every other feeding, so I would rotate where nap was. Sometimes in her crib, sometimes in the bouncy seat, sometimes on me. While in the studio, I would put on an audio book and the rhythm of the voices lulled her to sleep while staring at me or the mobile. Thank goodness for it too, since I would never have been able to finish the book. 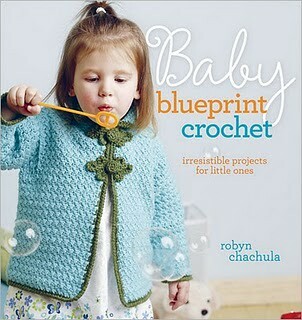 Thanks so much to Robyn for stopping by, and be sure to check out her new book Baby Blueprint Crochet. 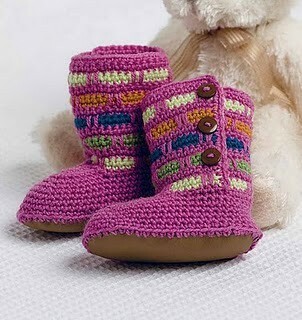 Wow, they are so beautiful and I think they will suit my little one perfectly. The cap and the body warmer are mainly my targets and I’m sure they will be comfortable in it. 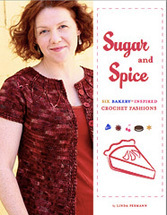 I have been told that I am getting this book as a Christmas present. woohoo!